This is our weekly fellowship and Bible study for our students. During this time students will have the opportunity to fellowship with other believers, pray for unreached people groups, and have a time to study the Word of God together through The Gospel Project student curriculum by LifeWay. Students will encounter the richness and depth of the Bible and how it applies to every aspect of their lives. XARocked meets Wednesdays in The Rock and starts at 6:00 PM. 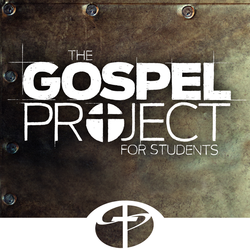 ​The Gospel Project for Students is a Christ-centered, chronological study that will take your students on a journey through the storyline of Scripture, from Genesis to Revelation. Along the way, students will discover the big picture of what God has been doing throughout redemptive history, and what it means for them. XAReach is the outreach emphasis of Chi Alpha student ministry. XAReach includes a weekly emphasis of going to Mission Midlothian. Students are encouraged each week to give an hour to Mission Midlothian which is an after school program here in Midlothian. Mission Midlothian reaches out to elementary school children through tutoring and other basic needs. XAReach also includes yearly World Changer mission trips.